Beck Ag Founder and Chairman John Finegan said Bettison brings a wealth of experience and knowledge regarding Beck Ag’s business space as a growth-oriented company focused on delivering strategic solutions to its clients. During his time with Syngenta, Bettison led the Seeds business efforts on building a stronger understanding of, and relationship with, growers. 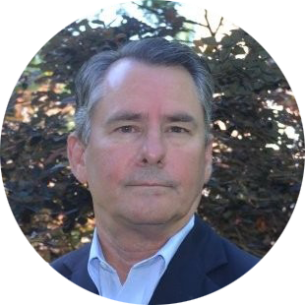 As president/CEO of AGDATA, LP, his executive leadership greatly expanded the company’s role of providing strategic data and analytical solutions to the world’s largest agricultural crop protection and animal health manufacturers. The Beck Ag Board of Directors unanimously agreed that Bettison is the right person, at the right time, to lead the company to the next level of growth. Working closely with Bettison will be the current senior management structure of Jay Kelley, Beck Ag President since January 2018, and Keith Nicholson, Beck Ag COO since January 2017. Longtime Beck Ag CEO Stephanie Liska had shared with Finegan and the Beck Ag Board over the past two years a desire to scale back her operational role due to increasing family farming obligations. Liska will remain an active participant on the Beck Ag Board, and will serve as an advisor to Bettison to ensure a smooth transition of responsibilities in the ensuing months. Finegan commented that Liska played a predominant role in the success and growth of Beck Ag the past two decades, as her passionate leadership and steady hand at the helm are the reasons Beck Ag has successfully established a strong leadership position in the agriculture industry. Bettison stated that he is honored and thrilled to join Beck Ag as its next CEO. Bettison said that Beck Ag has unique data-driven solutions and relationships with thousands of growers and ag professionals. As its clients leverage data, analytics, decision-support tools as well as strong relationships with industry leaders, Beck Ag is well positioned to partner with them to drive growth. Not only does Beck Ag have grower and channel intelligence, Bettison strongly believes it also has the capability to develop and execute strategies that have measurable results connecting buyers and sellers efficiently. Founded in 1997, Beck Ag made its mark specializing in facilitating conversations with ag professionals allowing peers to connect with each other as well as with top industry experts, to enable sound decision-making about products, services and solutions. Beck Ag now develops and executes data-driven marketing and sales strategies leveraging five primary capabilities which clients utilize individually or in tandem. Beck Ag’s solutions include cutting edge approaches in the areas of Strategic Planning and Execution; Market Insight and Research; Customer Education and Staff Training; and leveraging customer intelligence to influence the market providing clients digital, virtual and contracted sales solutions.